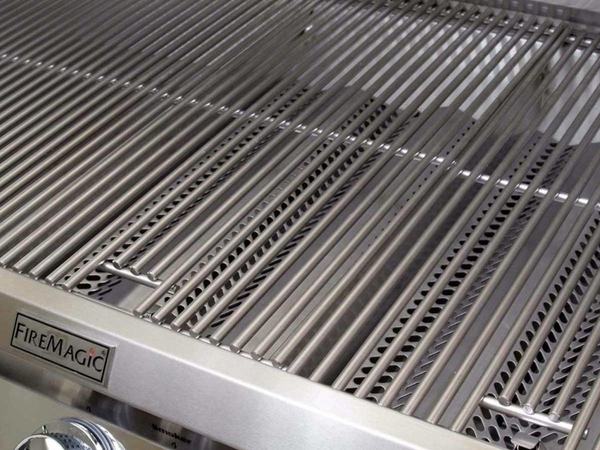 This Aurora grill by Fire Magic comes with a recessed "Quantum" backburner for rotisserie cooking. 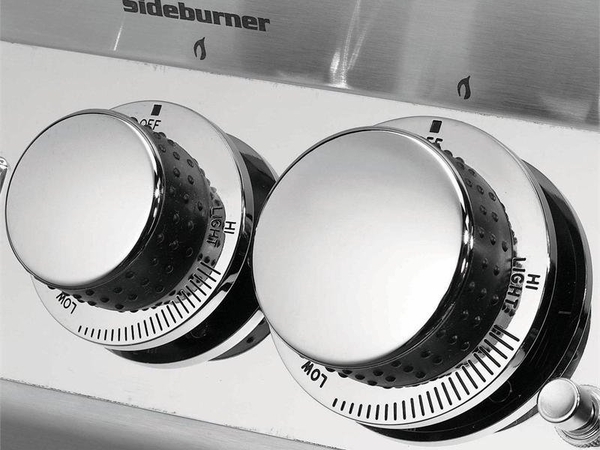 The 792 total square inches of cooking surface are provided by a 90,000 BTU primary burner and the 23,000 BTU backburner, both with lifetime warranties. Other great features include a removable warming rack, heat zone separators, and a woodchip smoker drawer. 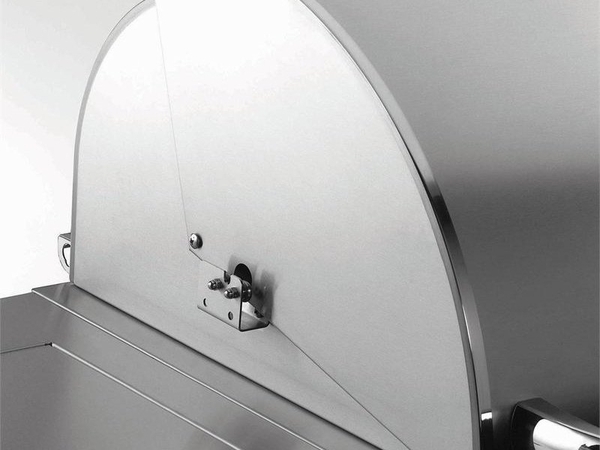 The 12" deep firebox has a beautiful stainless steel finish and comes with a spring-powered easy-lift hood. Blue backlit knobs give great style and excellent control. Both natural gas and propane configurations are available for this model. WARNING: Cancer and Reproductive Harm. For more information go to www.P65Warnings.ca.gov. Can grill be adapted for rotisserie motor installation on left side of grill? The rotisserie will need to mount on the right side of the Fire Magic Aurora A790 36" X 22" Gas Grill w/Rotisserie Backburner only. Although it is still new to me, this grill has been cooking delicious food without a glitch! I was really happy that it didnâ€™t take long at all to put this gas grill together and get started cooking! The food is simply scrumptious. I donâ€™t always remember to cover my grill after waiting for it to cool down. I was happy to find out that it is weather resistant and hasnâ€™t been harmed by a bit of rain. 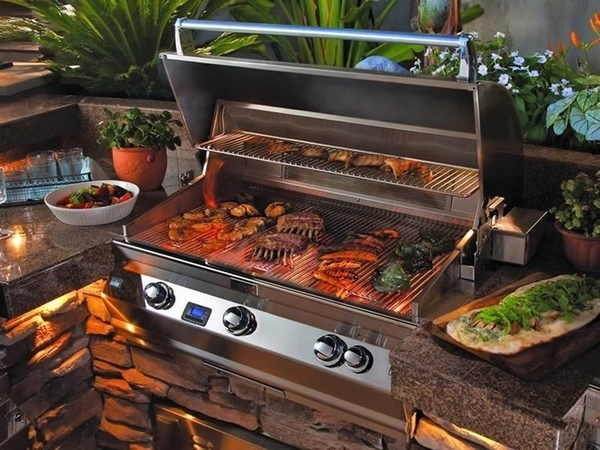 If you want to indulge in an extravagant meal in a short period of time, this grill is for you. 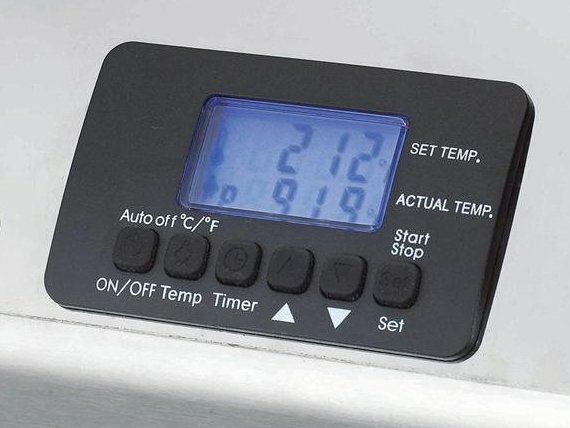 It hooks up to your natural gas and heats up within minutes. I will mention this grill to anyone who is looking for a new one. It doesnâ€™t take long before it is hot enough to use and the food comes out just right! 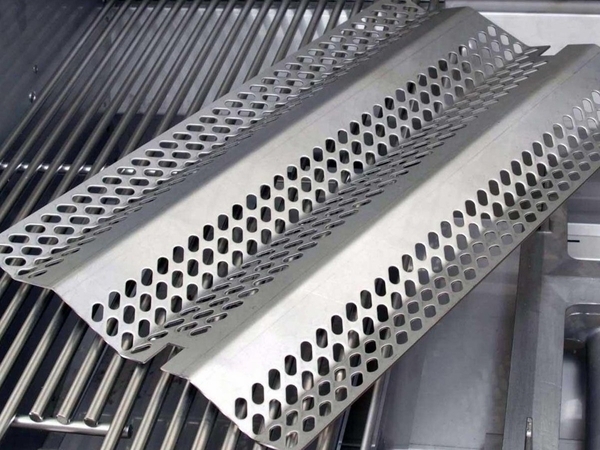 What I appreciate the most about this grill is the powerful 50,000 BTUs that grill to perfection. 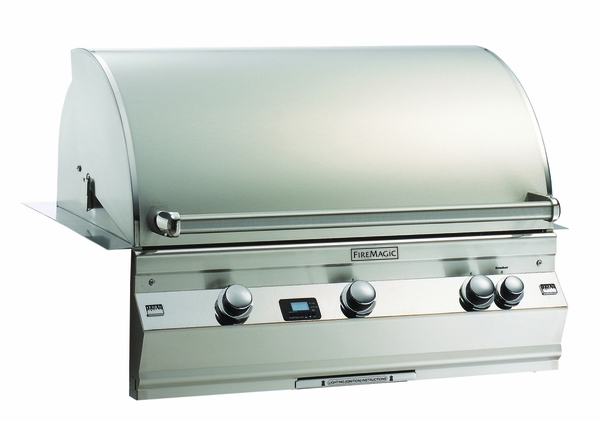 So many grills are awkward and big, but not this one! It is smooth and shiny and is delightfully simple to keep it cleaned up. I am crazy about this gas grill! It is terrific!